While accelerators have helped nearly twice the number of companies grow and start, there are still many questions about the value they provide to a startup. Which is why I see a dramatic change happening in the next few years in the model that accelerators operate in. The change, will be subtle but will have dramatic consequences on their operations. Startup entrepreneurs are largely used to paying for outcomes – they don’t mind paying (in India they will negotiate a lower rate, but will be open to paying) for customers acquired, revenue produced or key resources hired. I think the same will happen to accelerators. As entrepreneurs start to question the value of the accelerator, some of the progressive accelerators will start to offer outcome based ownership ratchets. Currently most accelerators get a fixed 6-10% of the company in exchange for $10K – $50K, regardless of outcomes. The future will see a sliding share of ownership based on outcomes the accelerator generates for the startup. I can see the future when the initial amount of money (which itself will be optional) invested results in a small fixed ownership (say 2% – 3%) and then a 1-2% on closing the financing round which was initiated or supported by the accelerator or 1-2% per customer closed or 0.5% based on the accelerator helping hire a key resource, etc. In fact many accelerators will offer the initial seed money as an option as opposed to a default. Startups would then choose whichever services they see value in or those that they seek outcomes for. First, the perception among most entrepreneurs is still that accelerators are for “first time”, “student” or “inexperienced” entrepreneurs. The large exits and even larger companies are being created by entrepreneurs who skip the accelerators and directly go after financing by an angel or venture investor. Accelerators want to ensure those experienced “hot” startups or entrepreneurs also come to the accelerators as their first choice. These experienced entrepreneurs though, dont value all of the services equally, thus the un-bundling. Second, many entrepreneurs are still not clear on what the value is that is being provided by the “mentorship” or the “network”. While the seed money provided has definite value, it is a very small amount to warrant a 6-10% dilution. Finally many entrepreneurs still dont believe accelerator interests are aligned a 100% with theirs. Although most entrepreneurs know that the success of their startup is largely due to their own efforts, they should expect to see tangible value from the accelerator to help put them on the right track towards success. Do you know of any accelerators that are aligning their interests to the entrepreneur’s outcomes? Any progressive accelerators that are trying this model? I am not sure if space and money (especially at the lower end of the 10k – 50k scale) will be a big draw for seasoned entrepreneurs. The network can definitely be useful but as you mentioned, this may be hard to measure; at the same time if the founders have specific expectations vis-a-vis the network (e.g. connect with potential hires or customers), it will be easier to determine if the network is adding value. If the thought process is stemming from, how do we get the class A / experienced entrepreneurs to start via an accelerator, this solution proposed is a fatally wrong one. For lack of data points in India, switch to the valley and ask yourself this – what would make Kevin Rose, Jack Dorsey or Tony Hseih to apply for Y Combinator? Nothing. You are chasing the wrong geese on this model. Vijay. I disagree 100% with your premise. If we had to stick to US, When Kevin Rose, etc. did start I dont think they had accelerators. The “celebrity entrepreneur” is not one that will possibly go to an accelerator, but I am starting to see very good (serial entrepreneurs, ex Google, ex Facebook, phenomenal track record, etc.) entrepreneurs apply to our accelerator in Seattle. The folks you talk about might be fewer than 20. There are 3500 companies coming out of accelerators (WW) each year. The great entrepreneurs will start to look at the accelerator seriously if there was sufficient value. I believe that 100%. 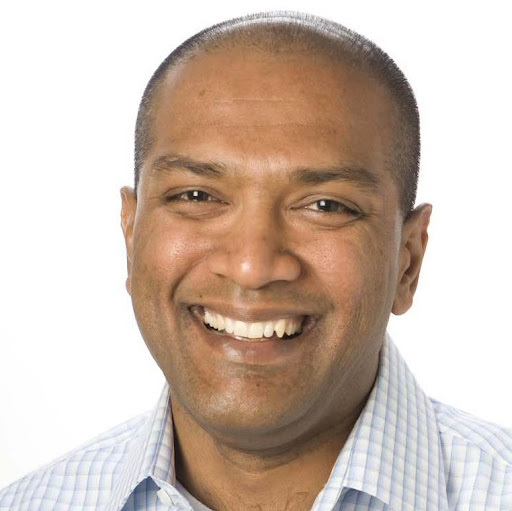 Great insights Mukund – I definitely agree that accelerators need to move to be outcome based. I do know of a couple that are getting started down this route – how about you are you seeing many get started with outcomes as their key driver? I think you are on to something here and its something we have experienced in Kansas City with our Accelerator. To add to that, we’ve reacted by adding even more services to include direct development services building MVP’s with our team of experienced Developers & Designers. We’ve encountered several experienced entrepreneurs who just need “A Technicial Cofounder” to create a product they essentially already have sold. Overall, as more Accelerator operators continue to gain more experience, the Accelerator model will continue to evolve to fit the needs of individual experienced entrepreneurs. Good view points Mukund. Would be happy to see such accelerators soon. Talking of the value adds, one point that got missed, which I found supremely valuable in Microsoft Accelerator’s preposition was their ability to put someone on the map, in another part of the world. Let’s talk about billion dollar markets and places which don’t even exist in our own country. This could be a guy in the US, building a product for emerging markets or an Indian entrepreneur looking at “Hot in USA” but not yet arrived in India kind of trend. A game changer but in another continent and the accelerator with the “network” (here this becomes tangible) and all its support system becomes more relevant than anything else non-tangible and funding, specially for the one with a view, the serial entrepreneur or the seasoned one, if you prefer. And it’s already a brilliant idea!